This past May, for the first time in the history of the Adventist Church, an outreach event took place in Rwanda that is changing the way we look at evangelism. It is not so much revolutionary as all-inclusive, and it yielded astounding results—more than 100,000 baptisms in one climactic month! What made the difference? Something as simple as a God-inspired novel approach to a well-known method, and a strategy called Total Member Involvement. In 2004, when Mark Finley led the first historic satellite meetings in Kigali, he preached to a live audience of 30,000 people. This was unprecedented, as were the 10,000 baptized following the meetings. Many felt we had found the key to reaching the world with the gospel message. But it was only the beginning. So how did we go from 10,000 baptisms in one event to 100,000? The answer is simple: through Total Member Involvement, a bold new General Conference initiative whose goal is to include and involve all church members in the work of reaching out to others with the gospel message. For the Rwanda project, instead of focusing on one preaching site with one preacher, we planned for multiple sites with multiple preachers. People from all over the world were invited to participate. Amazingly, a total of 2,227 people volunteered—both young and old alike, male and female, with and without prior experience—all who were willing to be used by God. And they were welcomed in Rwanda with open arms. Most of them were lay preachers—actually 860! Churches across Rwanda hosted one or more preaching sites. The volunteer preachers were asked to do just that—preach and pray. All the preachers had to realize that in preaching a series of evangelistic meetings “it is not about them, it is about God.” The local churches took care of everything else—preparatory Bible studies, visitation and invitations, nurturing, health and community events, and a myriad of other duties. Outdoor tents were rented, camp-meeting style, and the people came every night to watch the “Jesus movie” and the presentations. And the 100,000? It was the modest average of 45 baptisms per site. Some had many more, some had less, but God blessed all the sites. With each one doing a little—as opposed to one person doing a lot—astounding numbers were reached, and Rwanda was lighted with the glory of God’s truth. We realize that what happened in Rwanda is not a one-size-fits-all, however, there are certain wonderful principles that can be found in this experience that apply to most parts of the world and in most other situations. There may not be 100,000 baptisms every time. 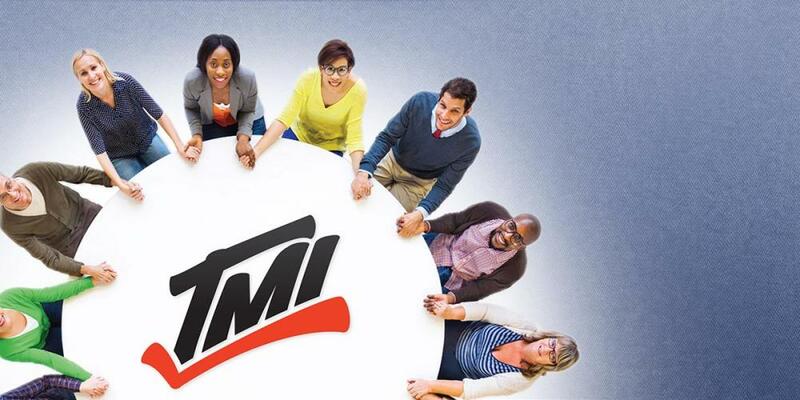 However, TMI is about everyone working together in a planned, committed way, in difficult areas or other areas not as challenging. It’s about expecting and experiencing God’s blessings. Total Member Involvement can be implemented at any level, in any church, conference, union or division. It is more than an event—it is a lifestyle. “It is a year-round outreach approach with many different outreach activities, and with everyone doing something for Jesus. Public evangelism is only a part of TMI—a periodic public presentation resulting from the many personal and public outreach activities and the power of the Holy Spirit.” –Ted Wilson. In TMI, every part or gift or ministry matters. Everyone matters, and everything needs to be connected—every effort made, individual or corporate, needs to ultimately connect people with the Source of all power and truth. Evangelism is part of that process, not a stand-alone event. Prayer, food banks, literature distribution, health seminars and other similar events are all part of the continuous process preceding and following an evangelistic series or other reaping events. Ultimately, Total Member Involvement is more than an event or a series of events. It is a way of life. “Christ's method alone will give true success in reaching the people. The Savior mingled with men as one who desired their good. He showed His sympathy for them, ministered to their needs, and won their confidence. Then He bade them, ‘Follow Me.’” –Ministry of Healing, p. 143. “Extreme Praying” done by church members across conferences and unions will have a tremendous impact on outreach events and any upcoming meetings. Prayer events were held all across Rwanda. “At the sound of fervent prayer, Satan’s whole host trembles.” 1 Testimonies, p. 346. For information on prayer events, contact Jerry and Janet Page at the General Conference Ministerial Department, pagej@gc.adventist.org. Pray daily for each person on the list. Make special contacts with each person weekly. Pray for an opportunity to invite them to a Bible study group or evangelistic meetings. Pray they will accept Jesus as their personal Savior. Calendar-Driven Events: The concept of TMI is more than random acts of kindness. It is purpose-driven evangelism. Rwanda would never have happened without purposeful calendar-driven planning. Many times before, events had happened in Rwanda with mostly small results. But this time it was different because of prayer and a coordinated calendar-driven effort which was blessed by God as excitement and synergy were created across the country. It was a miracle! It is important to first set a date for the major reaping evangelistic event. Once that date is fixed, then the other activities leading up to the pivotal event are calendared in. This will include prayer, sowing and preparation activities before the reaping event, and integration and retention activities after the event. Then repeat the process. New members will want to hear the message again and have an opportunity to share their new experience with Jesus! If done correctly, most new members will be retained. It takes planning and dedication, but God blesses any effort made for the salvation of others. The key to keeping both new and old members active is to get them involved with TMI. In the Rwanda TMI event, each new person who made a decision to be baptized was asked to win someone else for Jesus. One lady in Gisenyi responded by saying, “No, I will win four," as she had already been witnessing to four others. And she did. God rewarded her efforts. This lady’s decision to win someone for Jesus was a powerful commitment which prompted her to remain in the church as she shared her newfound faith with others. Synergy: Synergy is created when combined multiple forces start working together to create an effect greater than that of an individual one. A good example is 80,000 fans clapping for their favorite football team as opposed to one fan clapping. If one major meeting is held, then those attending that one meeting are excited. However, if like in Rwanda there are 2,227, then people everywhere are excited, creating a much louder “noise” heard all across a conference or union. In the end, TMI is also TCI “Total Church Involvement” and TPI “Total Pastor Involvement.” In other words, for the synergy to be built, all the churches in the conference and/or union must be involved, and all the pastors must be involved. In Rwanda almost 100,000 people were baptized, averaging approximately 45 per evangelistic site. The excitement and energy created all across Rwanda cannot be understood unless a person was there to witness and feel the synergy. There were cows, sheep, goats and houses given away to the needy, people prayed for and studied with, health events, TMI banners all across Rwanda. One person said, “Even the non-Adventists know about TMI!" Their motto—and the motto of TMI—was “Each One Reach One, Lose None, Disciple All!” The excitement and energy built and built and the Holy Spirit moved across Rwanda! All that happened there was a GOD THING! Health Expo/Mega Clinic: In Rwanda, health expos were held and many people were helped. The result was many contacts were made for Jesus. These people were then invited to health seminars and to the evangelistic meetings. In San Antonio before the General Conference Session, the health outreach "Your Best Pathway to Health” made a major impact on the city. This mega clinic was followed by health seminars, including Depression Recovery, Overcoming Diabetes, Smoking Cessation, Celebration Health (from the General Conference health department), and vegetarian cooking schools, resulting in seven new churches. Recently, in Harare, Zimbabwe, a mega clinic was held which gave medical services to over 30,000 people. The interests were then invited to health seminars and to the evangelistic meetings. For more information about Comprehensive Health Evangelism, please contact Peter Landless at the General Conference Health Department, landlessp@gc.adventist.org. ADRA Projects: ADRA worked very hard with the churches in Rwanda to create a friendly relationship with many communities. They even built two ADRA churches funded by their own employees. For more information on this, please contact Jonathan Duffy or May-Ellen Colon at the General Conference, colonm@gc.adventist.org. ADRA is very interested in helping churches reach their communities for Jesus. TMI Prayer Cards: These are special prayer cards where members may write down the names of people for whom they plan to pray and work. A lady in Rwanda wrote 11 names on her TMI Prayer Card. She prayed daily for each person. Next, she talked to each one, visited them and shared her love for Jesus with them. She invited each one to her home and church for special events. She finally invited each of the 11 people to the evangelistic meetings and sat with them, encouraging them to make nightly decisions. In the end, all 11 were baptized! Bible Study Groups: In Rwanda, 40,000 VOP Bible study guides were printed and Bible Study groups were started all across the country in every church and group. In most cases the leader of the group had the only printed lesson and the others had photocopied lessons. For more information about the World Bible School Discovery Lessons, contact Kurt Johnson at VOP kurtjohnson@vop.com. Small Groups or Sabbath School Action Units can also use Daniel seminar lessons or Revelation lessons or other Bible studies. Carl Johnson at Revelation Seminars may be contacted for these materials at ella@seminarsunlimited.org. Carl and Ella can customize anything needed for TMI. Glow Tracts: This works great for church members, including young people as they work together passing out GLOW tracts and other literature. GLOW tracts can be customized so that the back page advertises an outreach event or health event. Contact www.glowonline.org. Literature distribution is a great way to get many from a church family or conference family involved. Mike Ryan has successfully experimented with a new literature distribution plan called “The 28 Project,” and he may be contacted at ryanm@gc.adventist.org. Other Projects: Youth outreach evangelistic events. Both youth, students and pathfinders were heavily involved with bands and marches promoting TMI! Women’s ministries outreach played a major role in community projects, inviting friends and family to the meetings. They mobilized the churches in raising funds to buy goats, sheep and cows which were given to needy people. They also collected funds to buy health insurance for those who had none. They were very active before the meetings, and after the meetings in daily prayer groups which had a huge impact on the churches and continues to do so. All the departments of the churches were heavily involved, including family life, youth ministries, literature ministries, etc. Seminars that “bridge” from health events to the evangelistic meetings have just now been developed by Don Macintosh from Weimar, info@weimar.edu. Sermons: The sermons for the lay speakers in Rwanda were provided by ASI, which gave 2,500 printed sermon booklets and 2,000 DVD disks. The ASI New Beginnings has been revised and will be made available free of charge on DVD disks or in PowerPoint or Keynote in many different languages. These were used by more than 1,800 lay preachers in Rwanda. The General Conference TMI office also has new sermons available, the Revelation of Hope II series by Mark Finley. These are wonderful revised sermons that are shorter and in HD. They will also be available in a new format that makes them very easy to preach as the preacher’s notes appear on the computer and the graphics for the audience can be seen in different languages. These will be made available free of charge in the different languages as needed. For more information, contact Nancy Costa at costan@gc.adventist.org. Fulfilling God’s End-Time Mission: Mark and Ernestine Finley’s book “Fulfilling God’s End-Time Mission" (available in Adventist book stores) has many wonderful ideas that will help in preparation for meetings. Mark’s books are a wonderful detailed resource for preparing for reaping events. GC Ministerial Association Resources: The Ministerial department of the General Conference has a website with outreach and evangelism resources, including a series of five illustrated sermons on doctrine, prophecy, health and family. The presentations can be downloaded free of charge and may be edited and adapted as needed. Please visit gcevangelism.com or contact Robert Costa at costar@gc.adventist.org. The most important thing, after prayer, is getting members committed and involved in making friends for Jesus and in bringing them to the planned meetings and events. This is TMI! Encourage your church to commit to pray for a certain number of people, that they will give their hearts to Jesus and be baptized. When people make a decision to be baptized, they should immediately be asked to commit to work for several of their own friends or family members so that they, too, will join them in accepting and following Jesus. One lady in Rwanda was told—as were all—that she needed to win at least one person to Jesus after she was baptized. She brought three friends that she had been witnessing to and the next Sabbath all three were baptized. This again is TMI. TMI involves TOTAL CHURCH INVOLVEMENT. All churches in a given conference, union or division will want to get on board for TMI projects, TMI meetings and for TMI follow-up projects. This will build synergy, and it will just keep going until the work is finished and “we will get off this old ball of mud and go home.” Only when we have a story to tell of what God has done for us, do we become enthusiastic about sharing it with others. And if others do the same, it becomes an unbreakable chain. People may argue beliefs and doctrines, but nobody will dispute a first-hand personal testimony. It is important to remember that in Total Member Involvement no event (nothing! ), stands alone. Yes, churches can do just a food bank, a health seminar or an evangelistic meeting, but an event by itself will fail in the long run, or have very little results. TMI is about connecting the dots—planning a yearly calendar, giving everyone a job and praying a lot, because all can do something, and when everyone stands together in unity, then the Holy Spirit can work in full measure. It is about discipleship and discipling. Again, TMI is an all year-round (every year) outreach involving multiple outreach activities—everyone can do something for Jesus in a concerted effort. The evangelistic meeting or other reaping event is only a periodic public presentation resulting from the many personal and public outreach activities and power of the Holy Spirit.